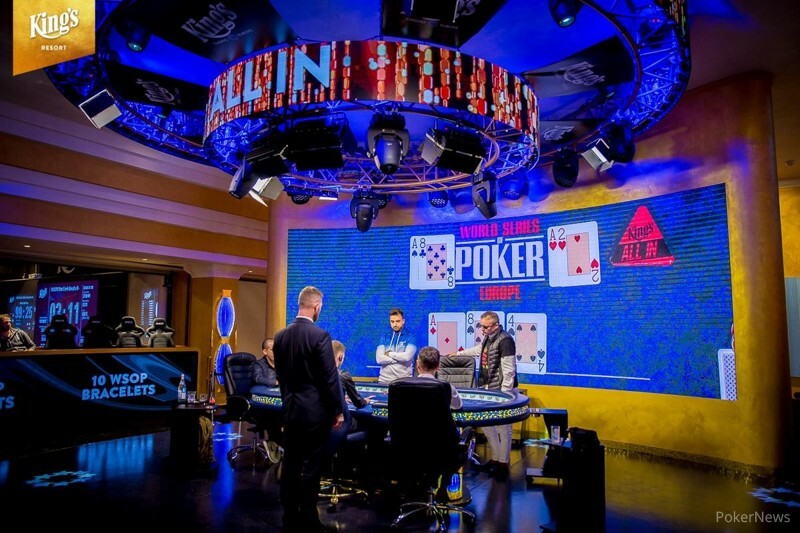 Just when the break was starting, Yunsheng Sun was all-in from the big blind for 29,700. The board read with around 40,000 in the middle already. Philippe Bouhnik was sitting in the tank in the cutoff and the clock was called on him. As the break had started, the clock was canceled by the person that called it so Bouhnik could dive deeper into the tank. After about four minutes, Bouhnik said: "I put you on five-six." Bouhnik cut out calling chips and looked at the remainder of his stack. He then had another look at his cards and stared at Sun a bit longer before making the call. 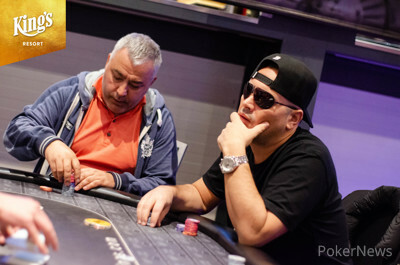 Sun sheepishly turned around for the bluff, Bouhnik quickly flipped over for king-high and roared from happiness for making the right call to take him to over 100,000 in chips.